What's Serena carrying this season? As we saw in season 5, Serena loved Incase's Bird's Nest Snap Case in Silver. Still obviously on contract with Incase, Gossip Girl's Serena is now carrying the very beautiful Metallic Hammered Snap Case in Gold. Also available in Iron (black), Red Copper, and Silver, this case is a beautiful and subdued accessory to your iPhone. I was hoping this case would be available for the iPhone 5, but right now there are only a few lines available in the new sizing. Hopefully Incase will bring it over to the iPhone 5 soon. I always look forward to seeing the product placement in The CW's Gossip Girl. Some of the best accessories and handbags are featured in the show. Comment below if you see more cool things this season from Gossip Girl! Are you sad GG will be over this year? Even though I know everyone won't switch immediately to the iPhone 5 (NB: I know I will :) ), I still want to post about this absolutely gorgeous Marc by Marc Jacobs iPhone 4/4S case. 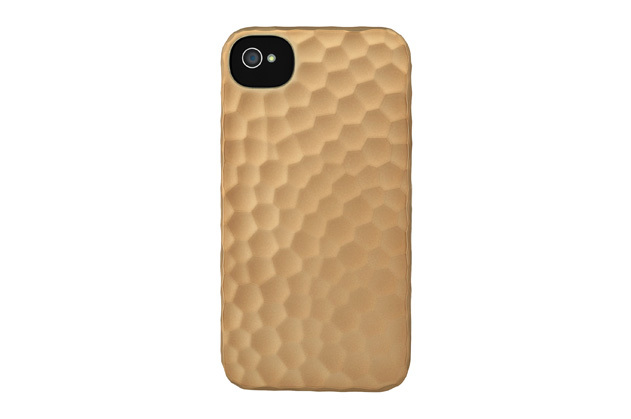 I hope that Marc Jacobs will reissue this case for the iPhone 5 because not only is it beautiful but it is so reliable! I've dropped my phone a few times, on concrete nonetheless, and the phone case only had a minor chip and overall rendered no damage to the phone! 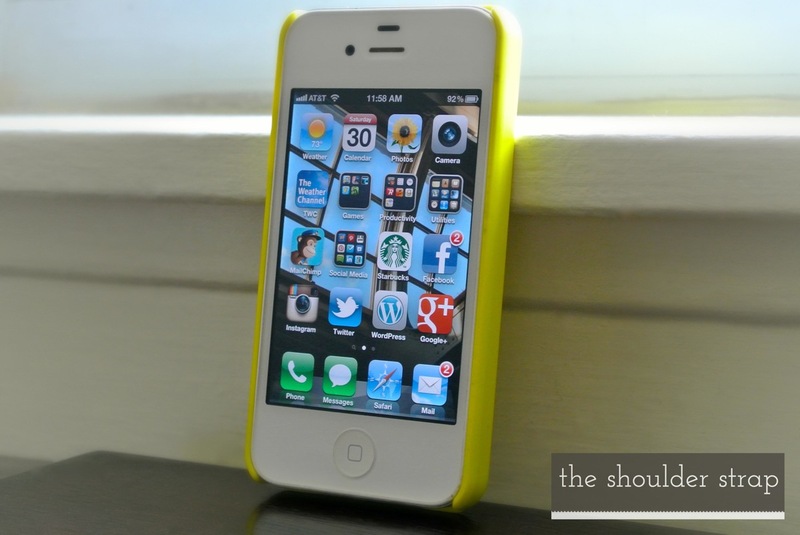 With the case on, the iPhone looks and feels slim, and is the tightest fitting case I own. Probably one of the best purchases I've made recently. So by now you know that I'm obsessed with cases for all of my tech items! There was a hot Facebook Sale for this beautiful and fun Tory Burch silicone iPhone case, filled with beautiful poppies--or to me cherry blossoms! Recently highlighted on VOGUE's Social Shopper, this iPhone case is all about heightening the back-to-school fashion experience. It makes the phone feel cushioned but not too thick, and provides a gorgeous backing to an already illustrious phone. While sitting on a table, the case is truly striking and naturally it leaves more of an impact whenever the phone is facing downward than upwards. A truly gorgeous piece for any season. What's your new summer case sensation? What is more chic than an Apple product? Seriously. You could call me an "Apple fangirl", but their products are consistently practical, high-performance, and stylistically pristine. As an iPhone 4 user, I love the sleek and thin phone, but I long for the old iPod look. I don't like using my iPhone as an iPod; I prefer to save the battery. So, I started looking for an old iPod, only to find this one from 2005 and the new iPod Classic. The iPod Classic is great, but is nothing like the old iPod Photo! It's super-chic and has totally turned heads--I mean, who uses this anymore? You don't have to have a brand, spanking-new iPod to be "in" or to be chic. This is a fantastic option that still works with the current Apple computers and iTunes. What's your favorite vintage tech? Perfect to stand out this summer, this beautiful and affordable Case-Mate case is trendy and ready to protect your iPhone! The case is slender, and it doesn't add too much extra weight to the phone. Able to slip it even into a small clutch, this case is definitely an eye-catching way to protect your phone from an unfortunate drop. Is your phone ready for the summer?